All The Write Stuff: LATE BREAKING NEWS! NEW OPPORTUNITIES! Folio Jr. agent Molly Jaffa has sent her deep regrets that she will not be able to attend this year's conference. The fifteen conferees assigned appointments with her have been informed of a substitute mode of pitching to her (if you are one of them, and didn't receive the e-mailed notification, please contact us with a correct e-mail address asap). We'll miss Molly, who had enthusiastically volunteered for other aspects of The Write Stuff as well. Over the course of the past week the conference committee has been busy digging for what opportunities this last-minute turn of events might afford. Molly's Saturday 8:50 a.m. session, Getting a “Yes!”: From Query to Representation in Ten Steps. NOW OPEN! Jonathan Maberry and Janice Gable Bashman's highly desired two-hour workshop, Interviewing Techniques And Strategies For Obtaining Expert Help With Fiction & Nonfiction Writing—which quickly filled and has a waiting list an arm long—will now move to Salon A. If you wanted to attend that session but didn't make the cut, you are no longer closed out. ADDED SPEAKER/NEW SESSION! At 8:50 am, in Room 235, author, attorney, and former literary agent Ann Boyle (bio below) will give Page Cuts: the Query Letter Version. Yes, bring your query letters along! Ann will cover what an agent looks for in a query letter, and what turns her off—then offer feedback on as many letters as time allows. This is a small room, so the session will go to the first 15 conferees to show up. Still learning what the whole querying game is about? No problem—bringing along a query is not a prerequisite. ON THE MOVE: During the 9:50 a.m. session, Donald Maass's Creating Depth of Character will move to Salon C, and Juliet Grame's Elements of a Bloody Good Crime Novel will move to Room 235. Again, please note that Room 235 only holds 15 people, so if you want this session, please arrive promptly. Kathleen Coddington's Dressing Your Characters, which features costume models (rumor has it this includes conference chair Tammy Burke! ), will stay put in Salon B. Page Cuts panelist Molly Jaffa. NEW PAGE CUTS PANELISTS! In addition to the roster of Page Cuts panelists already in place, which include agents Sarah LaPolla and Alia Hanna Habib, editor Juliet Grames, publisher Karen Syed, and author/presenters Jonathan Maberry and Janice Gable Bashman, we are happy to announce the addition of thriller author Don Helin; author, attorney, and former literary agent Ann Boyle; as well as fantasy author and attorney Michael Ventrella. Read on for their bios. A.M. Boyle gave up a 17 year career as a trial lawyer to pursue her love of writing. 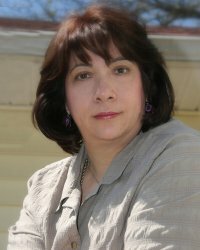 Having lived at various times in New York, Pennsylvania and South Florida, she now resides in South Jersey with her husband, two kids, and various “fur children.” She has published numerous short stories and other material both in her own name and as a ghostwriter. Her first novel, Turn of the Sentry, was published in 2009, and is slated to be re-released shortly as part of a trilogy. She’s also worked as a Literary Agent for several years, both independently and as part of a firm. Currently, because of her writing projects, she is on hiatus from her literary agency, but hopes to continue with it again in the near future. When not writing and revising, she spends her time doing Missions Outreach for her local church. writer. In his spare time, he is a lawyer. Don Helin is the author of the thriller The Kingdom Come. After graduating from the University of Minnesota, he entered the U.S. Army and served in posts across the United States, and overseas in Vietnam and Germany. After his military career, Don spent a number of years in Washington D.C. as a lobbyist for industry, giving him more material for thrillers. 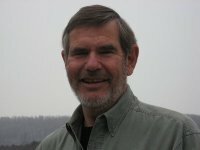 Don used his experience in the Pentagon to create his protagonist, Colonel Sam Thorpe. 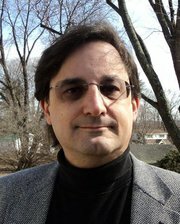 He is an active member of the International Thriller Writers and Pennwriters. See you at The Write Stuff next week!